Three faculty from the University of Notre Dame received fellowships this week from the National Endowment for the Humanities, continuing the University’s record success winning support for humanities research. 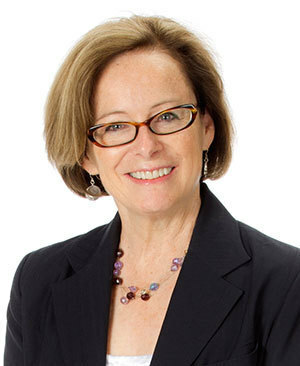 Julia Douthwaite, a professor of French, for a book on art and literature that responded to French financial crises in the 18th and 19th centuries. Amy Mulligan, an assistant professor of Irish language and literature, for a book on topography in medieval Irish literature. 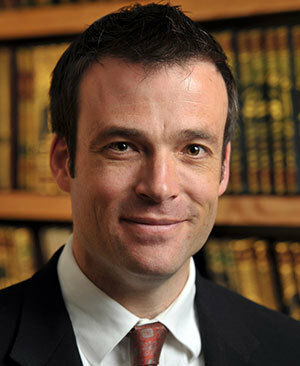 Gabriel Said Reynolds, a professor of Islamic studies and theology, for a book on vengeance and mercy in the Qur’an and its roots in Judaism and Christianity. Since 1999, College of Arts and Letters faculty have won 57 NEH fellowships—more than any other private university in the country. For her book project, Worrying about Money in France: The Art and Literature of Financial Crisis, from Regency to Restoration, Douthwaite plans to study how credit, debt, financial transactions, and investments are represented in French art and fiction. Douthwaite will incorporate the stories she discovers through intense art and library research into workshops she leads for school children and in classes for Notre Dame students, including a spring 2016 graduate seminar, Money Matters. An interactive art exhibit on the way money impacts lives is also planned for 2018 at the Snite Museum of Art. Mulligan’s book project, A Landscape of Words: Ireland, Britain and the Poetics of Irish Space from 700-1300, will examine the often-overlooked spatial discourses of medieval Ireland. She plans to study topographical literature in an attempt to identify a unique Irish poetics of space. The project is an extension of Mulligan’s other research efforts at Notre Dame, which have focused on demonstrating how the Irish and their texts engaged with other European people and literary traditions. “I’m extremely pleased that, in addition to supporting my own work on Irish place-writing and spatial discourses, the NEH is really helping to put medieval Irish studies on the map,” said Mulligan, a faculty fellow at Notre Dame’s Medieval Institute and the Keough-Naughton Institute for Irish Studies. Reynolds will use his NEH fellowship to work on a book project called God of Vengeance and Mercy: On the Qur’an’s Theology in Relation to Jewish and Christian Tradition. It will focus on the way the Muslim holy text juxtaposes narratives of God’s destruction with declarations of God’s compassion. Those parallels, Reynolds contends, indicate the Qur’an’s theology is in conversation with the theology of Jews and Christians. Laura Dassow Walls, the William P. and Hazel B. White Professor of English, for a biography of Henry David Thoreau. Sophie White, an associate professor in the Department of American Studies, for her book project, Voices of the African Diaspora Within and Beyond the Atlantic World. 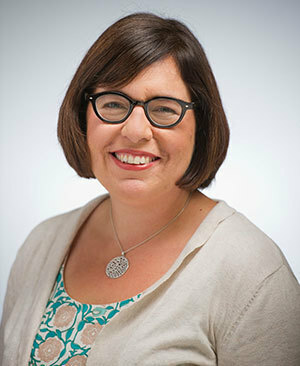 Linda Przybyszewski, a professor of history, whose book proposal on the Cincinnati Board of Education’s 19th-century decision to stop Bible reading in public schools was one of the first winners of the NEH’s new Public Scholar Grant Program. Originally published by Josh Weinhold at al.nd.edu on December 18, 2015.